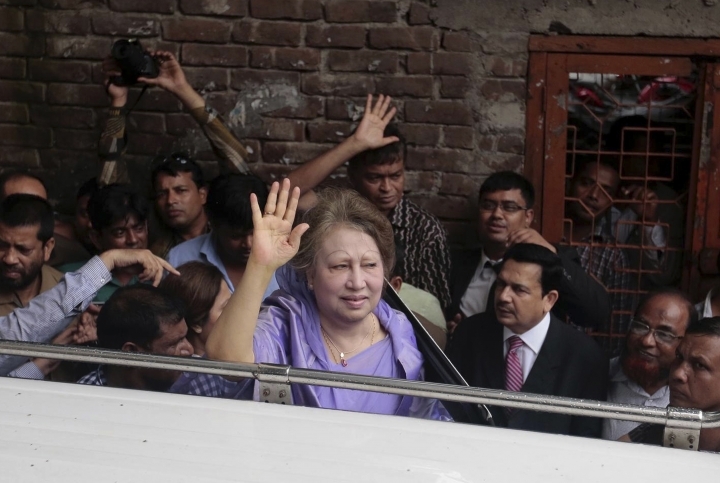 NEW DELHI — Bangladesh's former Prime Minister Khaleda Zia was granted bail Wednesday in 10 cases involving charges of arson and sedition. 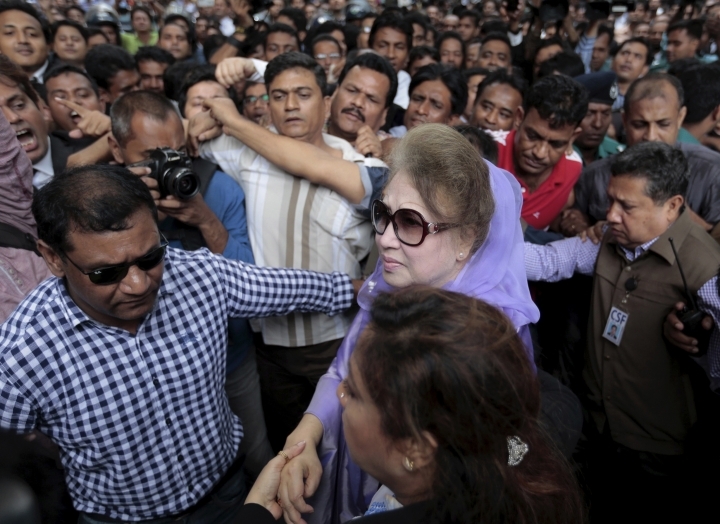 Judge Kamrul Hossain Mollah announced the decision after Zia appeared in the court in metropolitan Dhaka. She'll be free until trial under the bail conditions, a bond of $128 for each case with two guarantors. 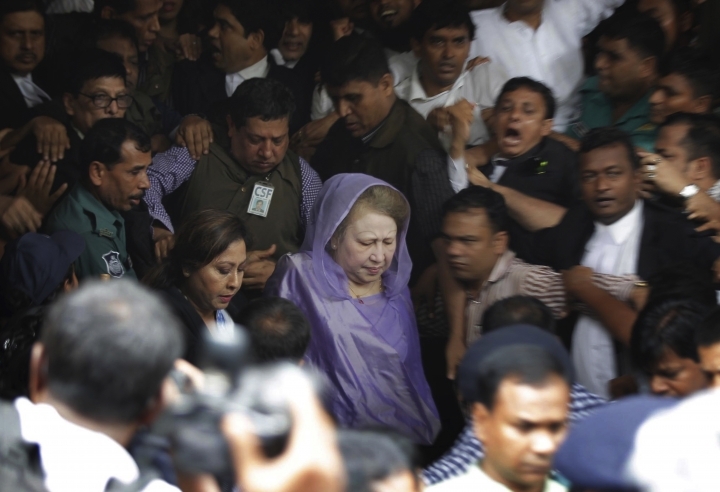 Zia, the head of the main opposition Bangladesh Nationalist Party, is the archrival of Prime Minister Sheikh Hasina. Zia has faced several political challenges in her attempts to build an anti-government movement. The sedition charge is related to Zia's questioning of the number of people killed during the country's 1971 independence war against Pakistan. 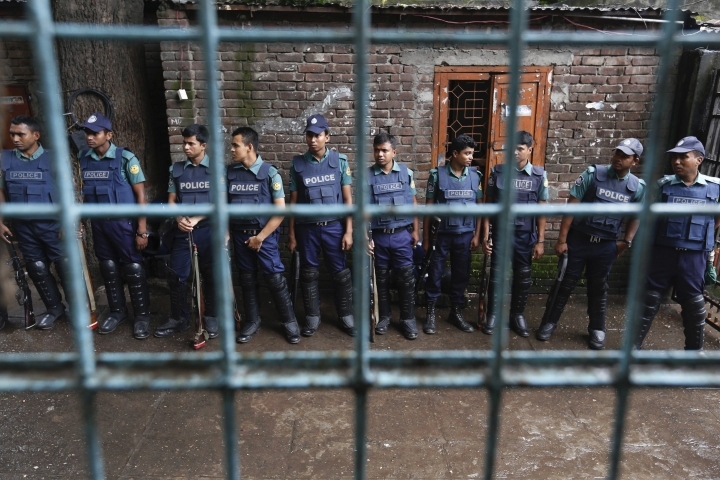 Bangladesh says about 3 million people died during the nine-month war. Zia has recently doubted that figure even though the same estimate was used officially during her premierships in 1991-1996 and 2001-2006. The defense argued that the charges against Zia were politically motivated to damage her image and block her from contesting polls that are expected to be held in 2019, defense lawyer Sanaullah Mia said. He said Zia's name was not in the initial complaint for the arson cases but she was added later to undermine her political stature. 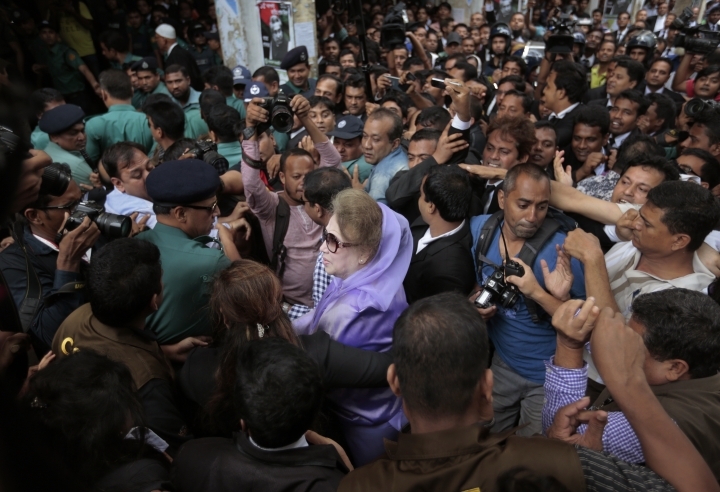 The prosecution argued that the arson attacks were instigated directly from Zia, who wants to oust Hasina's government and seeks early elections. The court scheduled the next hearing for Oct. 10. Zia faces other corruption charges separately.